Hey there, blog friends!! How are you doing today? 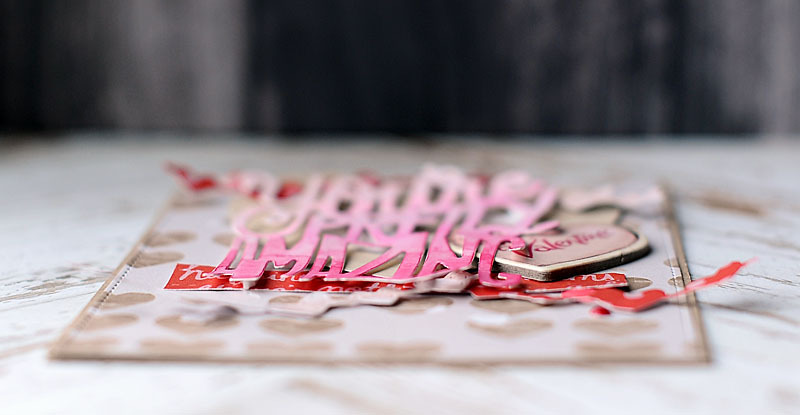 I'm great...just super busy with booking upcoming weddings & lots of crafting stuff that I just can't share quite yet! Today marks a new challenge at The Card Concept!! Isn't that inspiration photo so much fun? I just love everything about it! 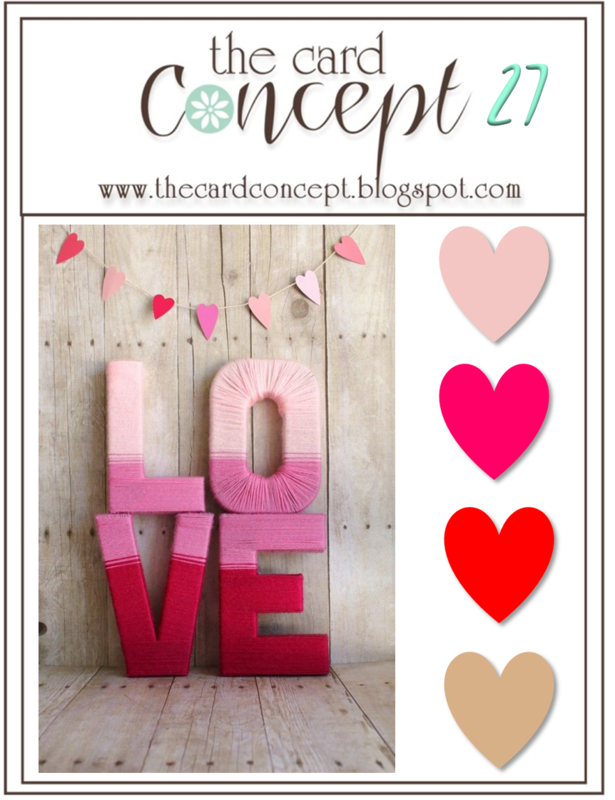 My card was inspired by pretty much all of it...the colors, heart banners, ombre lettering, & woodgrain. Check out my card! I've used a mix of different papers & dies to create this card, which will all be linked below. I fussed with this card for quite awhile...getting the placement of everything just right. But I love how it ended up turning out!! This challenge will end on Monday, February 2nd at Noon (PST). So be sure to join in on the fun before then...who knows, you could be picked as a favorite! Lea I love your die cuts, such a pretty card. This is so fun and pretty, Lea! 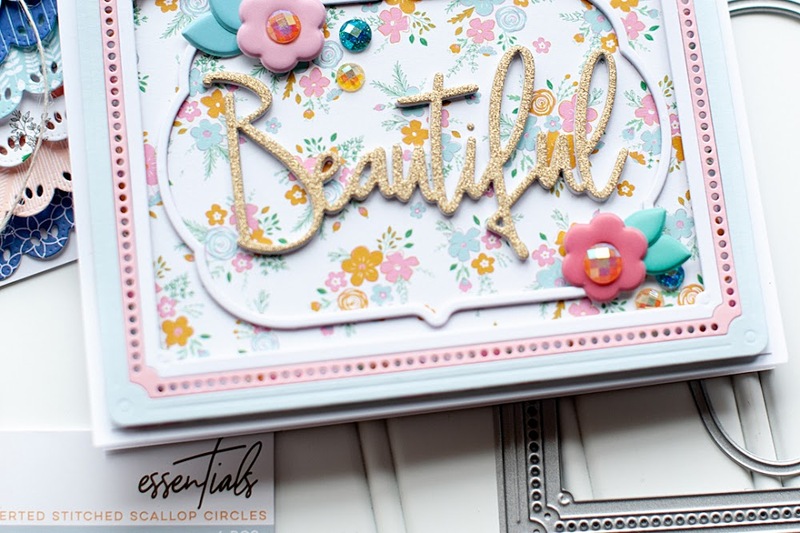 What a lovely layering of pretty die cuts Lea! thanks for joining us in the Fusion Challenge! Your card is perfect in every way! I love everything about it!! Your card is totally amazing Lea! 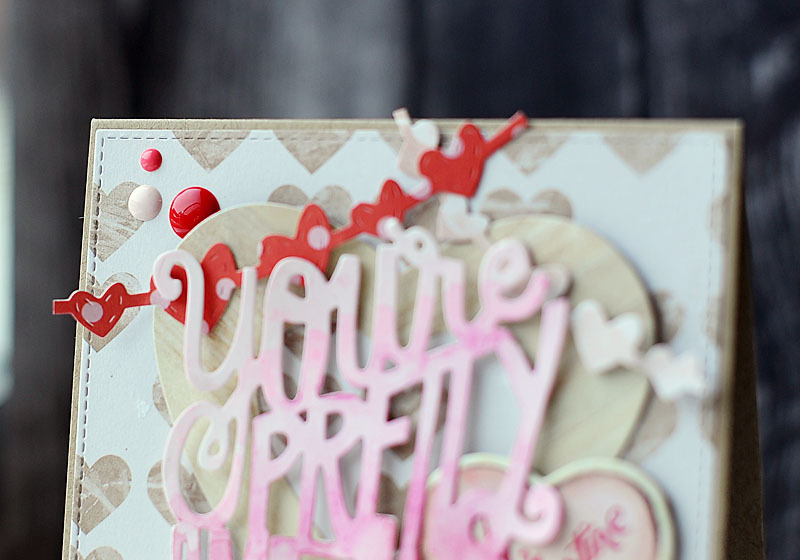 Love the fabulous die cuts and pretty details. FABULOUSNESS! LOVE the stitch heart banners. 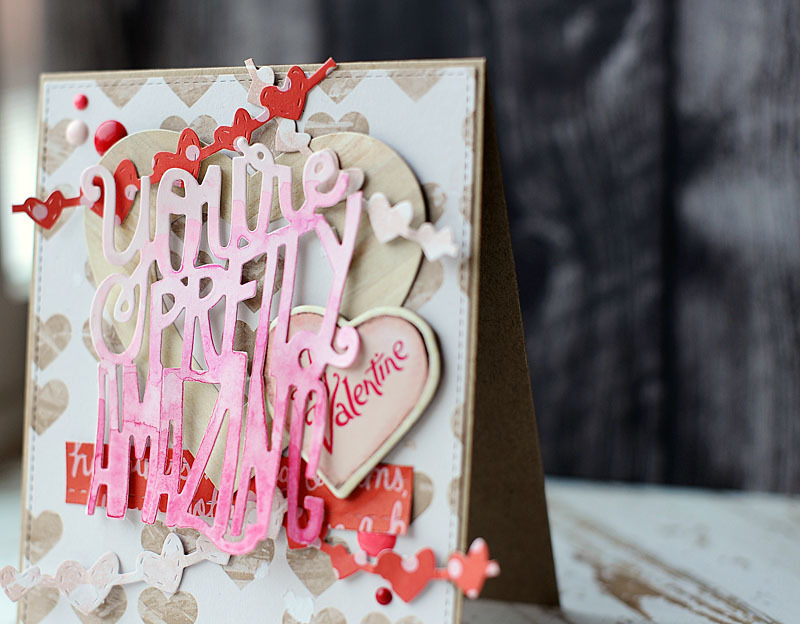 Oh I love that sentiment die cut! Your style is fabulous! Thanks so much for playing with us at Fusion! Gorgeous card Lea! 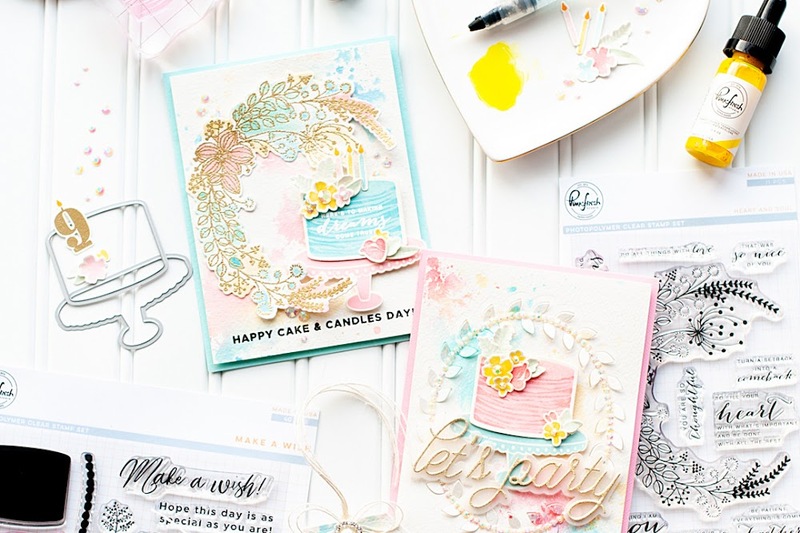 I love all the layering and your card is so pretty. Superb!! Lea, your card is totally, absolutely beautiful! Especially I so very love your watercoloured word diecut!!! Stunning! Such a gorgeous card, Lea! All those layers, and the watercoloring on your sentiment, are just scrumptious. Thanks so much for joining the Fusion Challenge! OMG, Lea. Love your card. 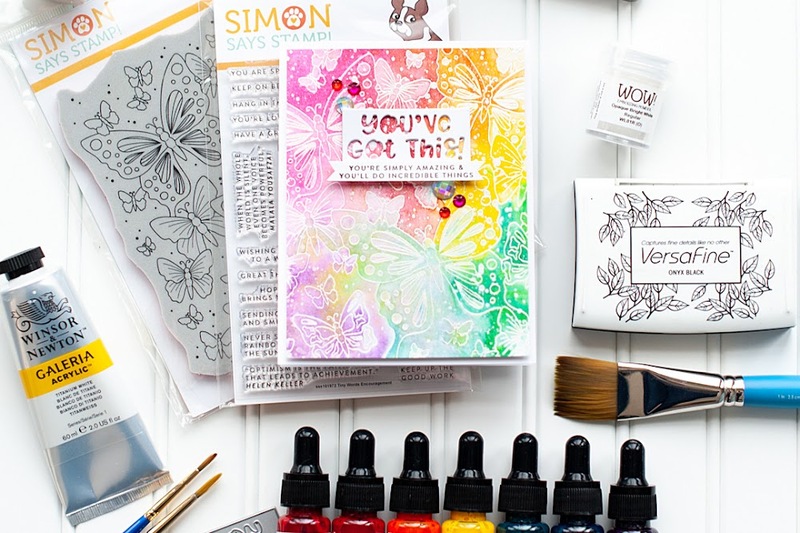 The watercolored sentiment and all the pretty details. Great job. Thanks for playing along at the FUSION card challenge and hope to see you again.